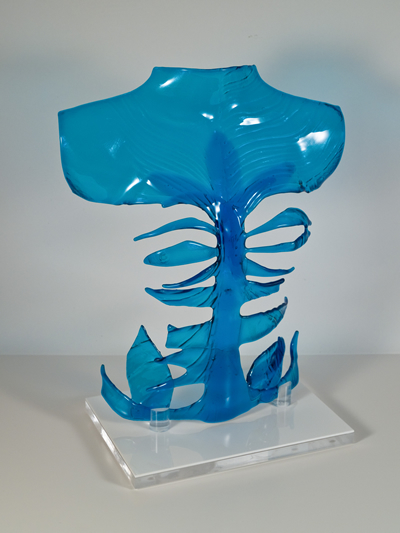 I create each torso from a clay incised mould. 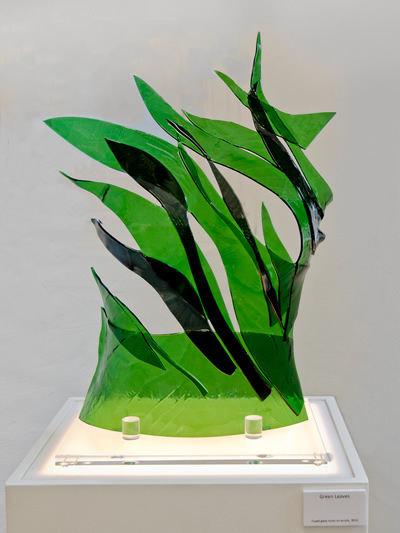 The glass is then fused and slumped over the mould to create a 3D glass sculpture. 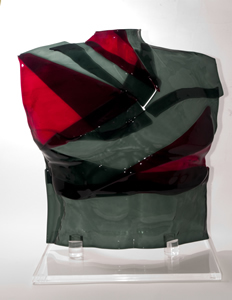 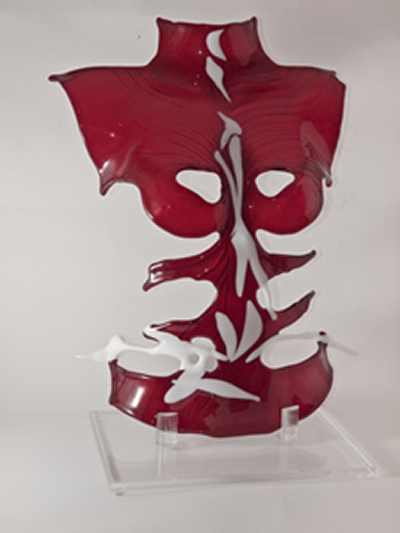 The sculpture is mounted on an acrylic or wooden base.